Given the sensitivity of the proposed development a contaminated land planning condition was attached to the decision notice for the proposed development. In order to fully assess the potential issues that may impact on the site a desk study report was required, which Demeter Environmental were commissioned to prepare. The first stage was to research the site history, which was undertaken using a combination of Ordnance Survey maps, aerial plates and street level imagery. The site was developed prior to the first edition O.S. map, when a building was identified ont he southern area of the site, no significant changes were identified on either the aerial plates or O.S. maps. A number of ponds and an excavation were identified within 250m of the site. The geological maps indicated the recorded soils comprised of Devensian Till and mudstone, which based on information provided by the Environment Agency were assessed to be low sensitivity receptors. 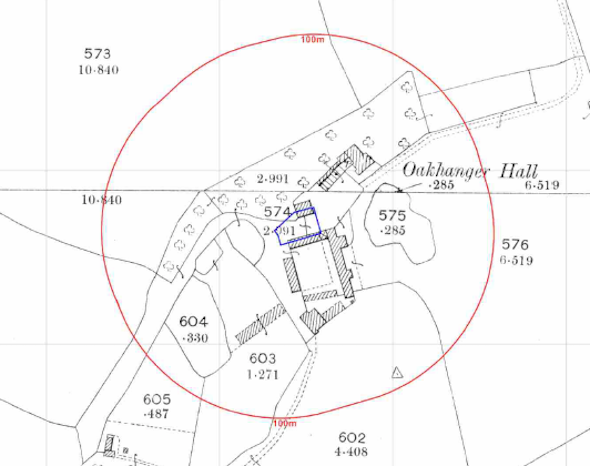 Additional information provided by Groundsure indicated the site formed part of a dairy farm. 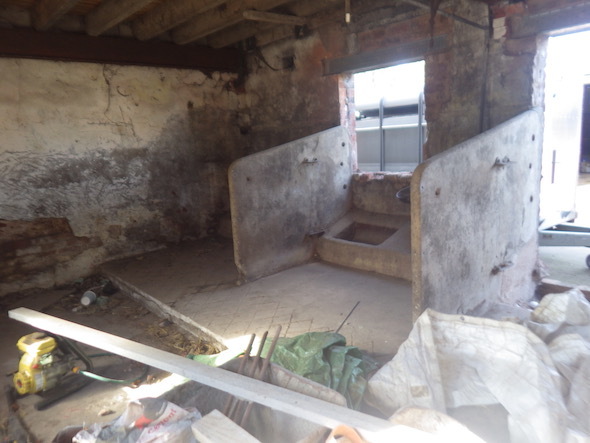 On completion of the desk based assessment a site walkover survey was undertaken, which revealed the site comprised of a yard and a brick two story barn, which appeared to the the original building. The layout of the barn indicated the building was used to house livestock. A qualitative risk assessment was undertaken in order to assess the potential sources of contamination identified in the desk study report, the site building and the off site parcels of in-filled land were all discounted. The only potential source was the made ground that may be present under the concrete of the yard. It was proposed that in lieu of further works remediation should be undertaken. The desk study was submitted to discharge the contaminated land planning condition (16/5982D), the recommendations of the report were accepted and the condition discharged.